Galleria Mario Iannelli is pleased to announce a solo show by Daniel Lergon entitled “Unter Grün”. The exhibition presents new works. All paintings are executed with one green pigment, a phtalocyanine green, in oil on canvas. But instead of the usual white canvas which Lergon has used before to show this pigment’s capacity, he now applies it to a fluorescent yellow background to demonstrate the influence of painting grounds on the light escaping through the applied painting material. On the surface of the work itself, the dark green paint modulates and moderates the backdrop’s crass luminosity. 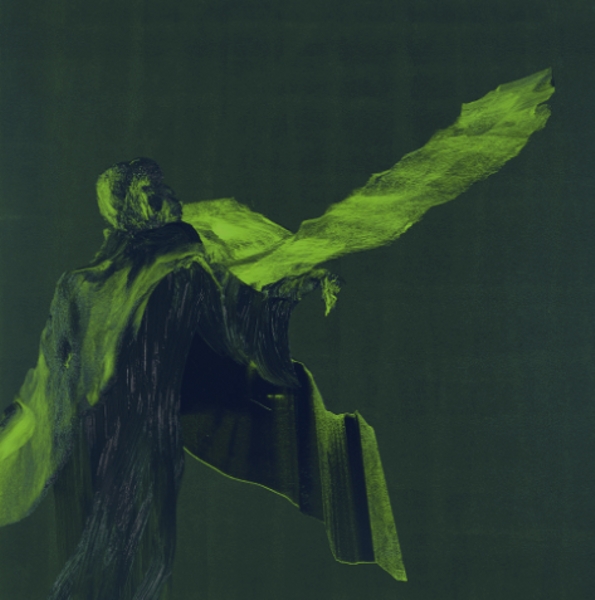 The exhibition features two types of paintings: dark structures of phtalogreen set in different painterly gestures on light, shining backdrop (small formats) and fluorescent yellow glows, underlying, revealed through the scraped off dark, almost black phtalogreen paint applied to the overall surface (large formats). The paintings formulate a vocabulary between dark, solidified volumes, sketchy, scrabbled and nervously executed lines and the ephemeral neon clouds and veils.